I'm from a website called Stubstory.com and I know how you feel. We made a whole site for people to share stubs and stories. 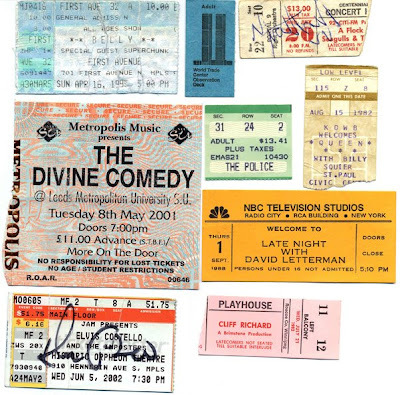 I found your page with ticket stubs and I'd like you to check out my site and hopefully contribute some of your fantastic content. Stubstory.com gives fans the chance to put their stories to the stubs, making the experience complete and sharable for the entire community. We've got stories from lots of bands and games etc, and want more! Take a look. We'd love to have you contribute and will happily give your page it's credit along the way as well.